SRI Energy, Inc. is a leading provider of oilfield equipment, systems and services used in the drilling and production of oil and gas; SRI Energy designs and manufactures full turnkey solutions for global production and distribution of crude oil and natural gas and other petroleum products. We offer international manufacturing services to respond to evolving customer needs. Our manufacturing facilities are located in both Houston and India in order to address short and long term procurement requirements as well as to compete in the global market. Our Houston manufacturing and engineering capability provides the flexibility necessary to source, design and manufacture unique components promptly. 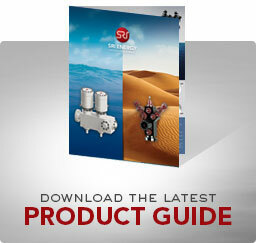 SRI Energy manufactures a complete line of valves, flowheads, choke and kill manifolds, standpipe manifolds, chokes, cross-over connectors, top connectors, tees and crosses, adapter and spacer spools, flanged connectors and threaded connectors, as well as, other connectors at PSL 1, 2, 3 and 3G and bull plugs adhering to API 6A, 16A, 16C & 17D. Our products can be supplied to NACE MR0175 specifications in pressure ratings ranging from 2,000 psi to 20,000 psi and temperatures from -75°F to 350°F. We design and manufacture multiple products for the upstream and midstream segments as well as custom engineering solutions. Upstream Oil & Gas Exploration and Production: the exploration, development and production of petroleum and natural gas. Midstream Oil & Gas Distribution and Transmission: involves the transportation, storage and marketing of the various oil and gas products produced by natural gas processing plants and by petroleum crude oil refineries.